Looking for deals in Beijing? Located in Beijing CBD - Guomao, Hotel Jen Beijing is part of the fully integrated China World Complex, which includes premier malls, offices and restaurants. Convenient, Clean and Comfortable! Around a 15-minute walk from the Temple of Heaven, New World Beijing Hotel features guestrooms with WiFi. Go for the club, it´s worth every dollar. Overlooking Liangma River, the Bulgari Hotel Beijing is a resort which combines nature smoothly with art. It features a private garden and is located in the heart of the Embassy District. Everything was just amazing. WOW What a hotel! One of the best I stayed in. The Restoran, breakfast perfect. Located in a traditional Chinese courtyard house, SonGy Hotel Beijing is set in Dongcheng District, Beijing. Very quiet. Warm and comfortable room. The manager was very friendly. Great price considering the location. Close to the chic hub of 798 Art District, NUO Hotel Beijing is a treasure trove of countless artworks and is positioned 15 minutes' walk away from Jiangtai Subway Station (Line 14). I booked a room for me and my husband anniversary. And it was perfect!! Very romantic. Waldorf Astoria Beijing artfully blends rich Chinese tradition and modern sophistication along the prestigious Jinyu Hutong in Wangfujing. Beautiful property in one of the best location, modern well designed. As part of Parkview Green FangCaoDi, the new iconic landmark of Beijing, Hotel Éclat occupies a prime location, steps away from Ritan Park and the embassies district. Very comfy. I loved the afternoon tea. Located just beside Yansha Youyi Shopping City, Four Seasons Hotel Beijing features a sauna and an indoor pool. First, let me say that I am a very demanding customer, so I don’t give praise unless warranted. Shangri-la Kerry Hotel, Beijing is located around 656 feet from Beijing's Central Chinese Television Tower in the commercial district. We really enjoyed the quality of our room and Club Lounge. Staff were friendly and efficient . Housed in a quadrangle compound with a history of over 200 years, Beijing Double Happiness Courtyard Hotel is the perfect spot offering a unique, traditional Chinese-style living experience in... Charming decor. Good care by staff. Room well equipped and replenished well. Hotel Cote Cour Beijing is located in the ancient Yanle Hutong with over 500 years' history, around a 15-minute stroll from Wangfujing Pedestrian Street. Staying at hotel Côte Cour made our stay in Beijing that much better. Offering free WiFi and a garden, Beijing 161 Drum Tower Hotel offers rooms in Beijing, 1.2 miles from Yonghegong Temple and 1.3 miles from Nan Luo Gu Xiang. Kind staffs and good facilities. Central yet quiet, the tastefully water-themed The Emperor Qianmen Beijing features design rooms with free internet and a rooftop swimming pool that offers Beijing skyline views. Great location, very helpful staff, would certainly recommend and definitely stay here again. Occupying a central location in Beijing’s business district, pentahotel Beijing is around a 2-minute walk from the 2 subway lines at Chongwenmen Metro Station. It features a business center. The location is great, and the breakfast spread is also very good. Accepting only Mainland Chinese citizens, Hanting Hotel Beijing Tian'anmen Square offers accommodations in Beijing. Free WiFi is available in all rooms. Legendale Hotel offers well-appointed guestrooms and suites. Adjacent to the Jinbao Place shopping mall, it is around 0.6 mi away from Wangfujing Street where guests can enjoy shopping and street... Personal greetings by staff (Richard) with indonesian language made us special. Offering a spa and wellness center, Renaissance Beijing Wangfujing Hotel, a Marriott Luxury & Lifestyle Hotel, is set against the backdrop of Beijing's lively Wangfujing Street, the heart of the city.... Our stay at Renaissance Wangfujing Hotel was perfect. A tranquil and luxurious retreat just a 3-minute walk from Wanfujing shopping street, Regent Beijing offers an indoor pool and spa. It features breathtaking views of Beijing. The rooms were very comfortable and the bath, luxurious. The spa floor and pool area were terrific. How much is a hotel in Beijing for this weekend? The average price per night for a 3-star hotel in Beijing this weekend is £108 or, for a 4-star hotel, £142. Looking for something even fancier? 5-star hotels in Beijing for this weekend cost around £272 per night, on average (based on Booking.com prices). Which hotels in Beijing are good for couples? These hotels in Beijing are highly rated by couples: Zhaolin Grand Hotel, Hotel Cote Cour Beijing, and The Peninsula Beijing. Which hotels are the best ones to stay at in Beijing? New World Beijing Hotel, The Peninsula Beijing, and Four Seasons Hotel Beijing are some of the popular hotels in Beijing. What are the best hotels in Beijing near Beijing Capital International Airport? Travelers who stayed in Beijing near Beijing Capital International Airport (PEK) have said good things about GreenTree Inn Beijing Capital Airport Second Express Hotel, Home Inn Beijing Capital Airport, and Beijing Sky House Business Hotel. Which hotels in Beijing are good for families? Many families visiting Beijing loved staying at Beijing 161 Drum Tower Hotel, Zhaolin Grand Hotel, and The Peninsula Beijing. Which hotels in Beijing have nice views? Shangri-la China World Summit Wing, Beijing, Hotel Jen Beijing by Shangri-La, and Hotel Éclat Beijing got great room view-related reviews from travelers in Beijing. 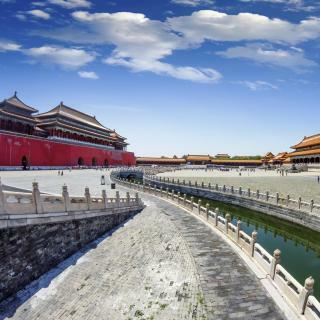 What are the best hotels in Beijing near Forbidden City? Some of the best hotels in Beijing near Forbidden City include Pan Pacific Beijing, The Peninsula Beijing and Waldorf Astoria Beijing. 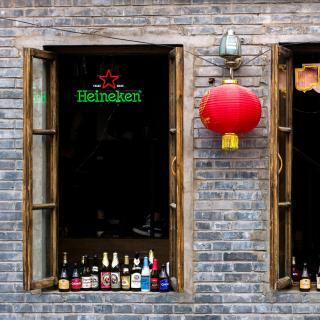 Which neighborhood is the best one to stay at in Beijing? Central Business District, Hai Dian, and Xicheng are popular with other travelers visiting Beijing. Which hotels in Beijing offer an especially good breakfast? 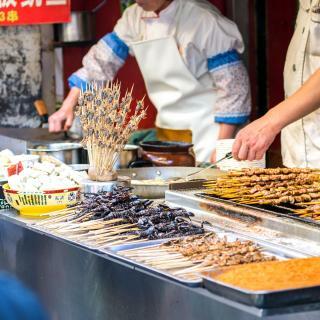 For hotels in Beijing that serve highly-rated breakfasts, try The Orchid Hotel, Beijing, InterContinental Beijing Sanlitun, and Four Seasons Hotel Beijing. How much does it cost to stay in a hotel in Beijing? On average, 3-star hotels in Beijing cost £39 per night, and 4-star hotels in Beijing are £70 per night. If you're looking for something really special, a 5-star hotel in Beijing can be found for £116 per night, on average (based on Booking.com prices). How much is a hotel in Beijing for tonight? On average, it costs £56 per night to book a 3-star hotel in Beijing for tonight. You'll pay around £84 if you choose to stay in a 4-star hotel tonight, while a 5-star hotel in Beijing will cost around £162, on average (based on Booking.com prices). 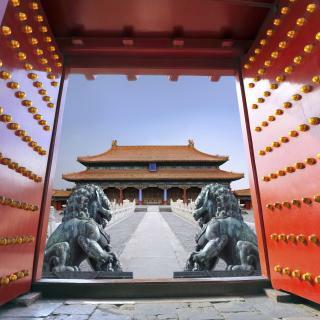 A world-renowned gem, sprawling Beijing has magnificent monuments and peaceful parks. 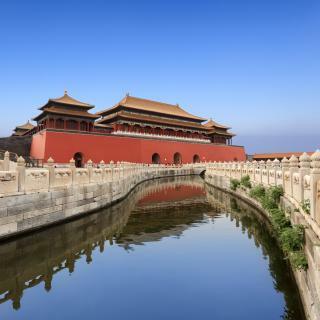 At its heart is the world’s largest square, Tiananmen, surrounded by important museums and the amazing Forbidden City. This 15th-century, walled complex of palaces neighbors Jingshan Park and Beihai Park with its imperial garden. Across from Tiananmen Square is the ultra-modern National Center for Perfoming Arts, a beacon of the city’s culture so impressively displayed at the opening and closing ceremonies of the 2008 Beijing Olympics in the Bird’s Nest Stadium. 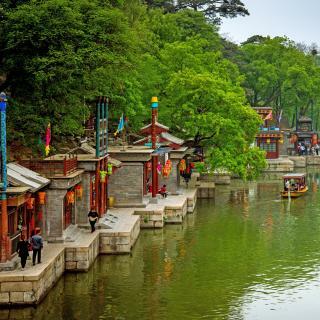 To its east is the UNESCO World Heritage listed Summer Palace, a lakeside retreat of emperors, while also UNESCO listed is the grand Temple of Heaven in Chongwen district, where remnants of Ming dynasty city walls are visible. 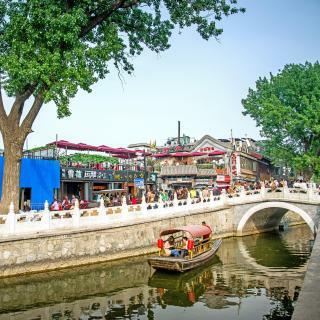 Nearby are several hutongs, narrow alleys with traditional architecture, that contrast with wider, modern roads like Beijing Financial Street, the city's business area. The most popular Beijing shopping street is Wangfujing, and other must-see sights include the giant pandas at Beijing Zoo and the Great Wall of China, an easy day trip from Beijing. 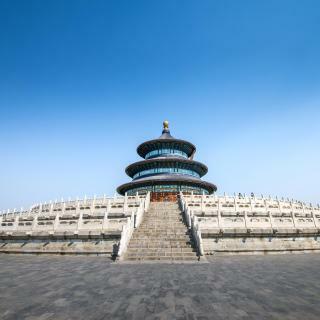 As you would expect from the capital of the world’s most populous country, there are a good number of 5-star hotels in Beijing on Booking.com, mainly in the Dongcheng and Chaoyang districts. There are also several hotels near Beijing Capital Airport in the northeast. Hard to move in Beijing. Hard to move in Beijing. Great historic places to see the city it not what I excepted. 2 full days is more than enough! Food is hard Visit Great Wall mutianyu, forbiden city, temple of heaven, tianamen square. Beijing has wonderful parks! We are exhausted by visiting a one or two parks a day. Loved the Summer Palace and North Sea park, Forbidden city, Temple of Heaven. Spring time is a beautiful time to visit Beijing. WangFunJing street food eat were great! Qian Men street was also entertaining. Loved the nice people we met everywhere. They are trying to be helpful all the time. DaDong is our favorite spot for enjoying Peking Duck! Traffic is pretty heavy in the city. The smug sky is a bit sad to see. I'm not particularly a fan of large, busy cities, but I did love my 5 day stay in Beijing! We hit most of the major spots - The Great Wall (Mutianyu), Forbidden City, Beijing Zoo, National Museum and a tea house! We particularly enjoyed the National Museum - if you have time take a few hours to walk around and see all the different bits of history! Sometimes it was a bit hard to get around and actually find the place we were looking for, but the metro is convenient and cheap. All in all it was a great stay, and there is plenty to do for any interests you may have! I was advised that many people speak English. I was advised that many people speak English. In fact, many don't. Many have the phone translator app, but don't use it well. That is a problem if you are in a hurry to get somewhere, or do something. It is a good idea to learn some Chinese before going. Even with that, it is a marvelous city, an ancient and very modern city. Be prepared for the 'shove-in' culture: It is how they do crowds, how they do traffic. For those who live in a more 'you go then I go' culture, it can be a problem if you aren't expecting it. Don't get political, don't criticize: You are in their house so be courteous even if you don't like something you see. Save the rant for home. Be adventurous with food. You don't have to eat bugs to discover exotic new things. Try small tastes until you know what you like, eat what you select from a buffet, for instance, and don't waste food. Know the most basic courtesies in Chinese: Hello, Thank you, Sorry, No thank you... Go shopping in the public markets, haggle, or go with someone who can haggle for you. Marvelous things are to be found! My stay in Beijing is really insightful. What a little gem of a place. The two girls on the reception area are lovely. It’s just minutes walk to the nearest subway . We had the twin en-suite room that’s featured in many of the pictures & the beds were the most comfortable of our whole stay in China. Worth noting that if you include breakfast in your room rate it works out as a really good deal & such a lovely area to sit with all the beautiful flowers. For a city hotel it was very good value & I would stay here when I return to Beijing. The hotel is situated in a great location in Beijing. The main tourist spots like Tianamen Square, Forbidden city, Wangfujing area were just 1-2 metro stops away. The metro itself was just a 5 minute walk from the hotel lobby. There are some really good restaurants nearby as well. The best thing about the hotel is that both the reception and concierge staff speak fluent English. They're helpful and can help you with your queries. The facilities are great and the room was very well furnished. The location, dongxi station exit G, and you'll find the hotel at your right side (the building does not face the exit G, but to the other side). They have male english staff, which was very helpful anytime we ask the information. The wifi was not very fast, but you can still use it on your room, as long as you download vpn first before you arrive in China. The breakfast tasted good, scrambled egg and toast (and bacon). This hotel has much higher standards than most 4* hotels in Beijing. Room on the top floor was very bright, clean and new. Bed was very comfortable. Staff at the hotel is very friendly and speaks English very well. The location is perfect. Very close to the metro station, shops, restaurants. Journey to the airport takes around 30-40 minutes and taxi costs around ¥70-80. I’d definitely stay there again. If you want to experience hutong life (just as we wanted) this hotel is ideal. The hotel is walking distance to Subway Line 2 (Yonghe Lama Temple) and Line 5 (Beixinqiao). A lot of restaurants and bakeshops nearby. Airport is around 20-25 minutes by Airport Express. 4-5 Stations away from Wangfujing. Staff are all nice and pleasant. Excellent place! Beijing is quite expensive generally so expect to pay more for accommodation compared to other places in China. This is in a brilliant location of a hustling Hutong and really close to the metro station. We organised our Great Wall tour and forbidden city tickets through the hotel as well - very helpful thank you. The hotel style is really authentic, and located in the city center. It looks like old Chinese buildings people used to live couple of centuries ago, which may brighten your stay in China. There is local bazaar nearby, you can shop or eat there, this is extremely convenient. The staff was polite and helpful! I stayed one night in order to catch my flight next morning. The hotel is 30-40 mins ride from the Capital airport. The traffic is Beijing is deteriorating so much that if you have an early flight to catch, this hotel is a great choice. There are some local reataurant around to eat out. Location is very convenient. This hotel was built by the foreign administration of China to accommodate foreign government staff during 80s I think, so the decoration is quite traditional and old fashioned. But it’s clean and neat and worth the money given the location. Grt location esp easy quick cheap taxi ride to airport, always super clean great bathroom and excellent new soft fresh sheets, better than a lot of much more expensive hotels. Shower great, super hot water. Amazing value for central Beijing. Nice hotel, very kind staff all round. Clean good beds and bathroom. Very good location from metro, airport express but also by taxi to and from airport. We stayed a few times before and will come again if in Beijing. This is one of the best hotels in China i ever stayed, Location, Staff, Cleanliness, I mean it hits all the notes and gives you a good impression of Beijing. Everytime you back hotel you feel like you back home. Nice and well-established boutique hotel in the middle of the hutongs. Information and staff were very helpful, especially if you’re coming to China/Beijing for the first time. great location. clean room big space. nice breakfast. CDB area valued 5 stars hotel. shopping mall next to it has many food options. This hotel was an oasis. We have been living in China for three months and the American bed was exactly what we needed. Very nice hotel with a good rates and a discount for genius user. We can do early check in and late check out. One that i like so much is the lobby, once we are going inside we got a very good smell and very warm. They provide international channel on the TV. The receptionist can speak english quite good. From this hotel there is a subway which is not far away, we only to take a walk for just 10 minutes and there are a lot of mini market around the hotel. For one who like mcdonalds, there is also mcdonalds very near this hotel. I really enjoyed this sunworld hotel, very satisfied and very recommended.